Have I mentioned recently how happy alliteration makes me? 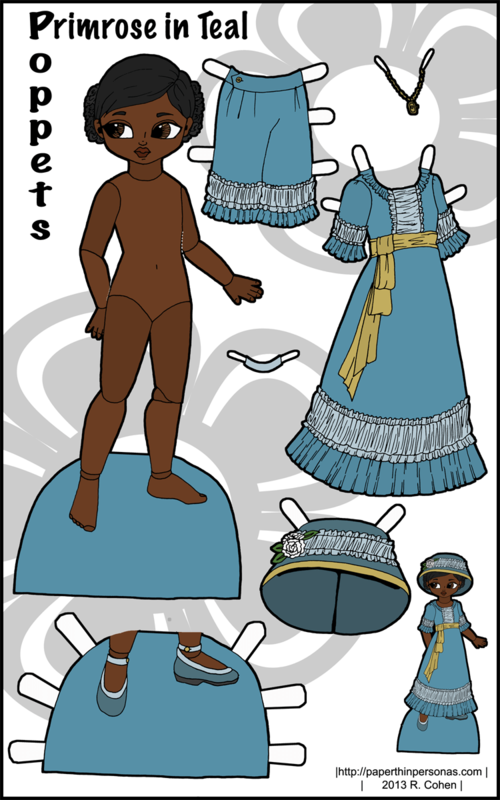 Also, I am really pleased with this new printable paper doll series. Poppet’s have turned out to be very fun to draw which I confess I wasn’t totally expecting. I mean, I thought they would be fun to draw, but it’s nice when “fantasy” and “reality” actually mesh properly. 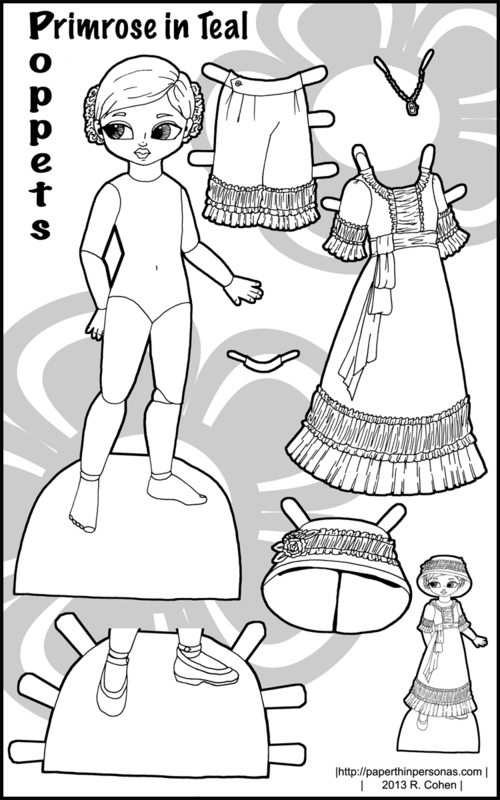 For this set of poppet printable paper dolls (Yay! Alliteration), I chose to do a romantic regency inspired look with lots of ruching and a wide ribbon sash. There’s a little Kate Greenway action going on here, I won’t lie. Since this is only my second Poppet and it’s my second poppet in a pretty short period of time, you might be wondering… What’s up with all the poppets? Hannukah began on November 27 and runs until the 5th of December. I decided for each night of Hanukkah it would be fun to post a paper doll. There will be a Marisole on Monday, my new Curvy series debuting and a few other things, but there’s going to be a lot of Poppets. Why? Both PDFs link to Petunia. Well, that’s odd… let me check the code and see if there’s a problem…. Should be fixed now, I believe. Let me know if it’s not. There was an error when the files uploaded. Now it’s saying the pages can’t be found. Darn! Victory shall yet be mine…. It should be working now. It’s working for me, anyway. Let me know if its not working for you and I’ll try something else.